In this example, we have an M-Audio Audiophile 2496 sound card installed, and we are running Windows 7 as a virtual machine using Oracle's VirtualBox. In the Windows 7 virtual machine, the hardware tab is empty, and there are no listings under select PCI card. This is not an issue with the driver for the sound card. 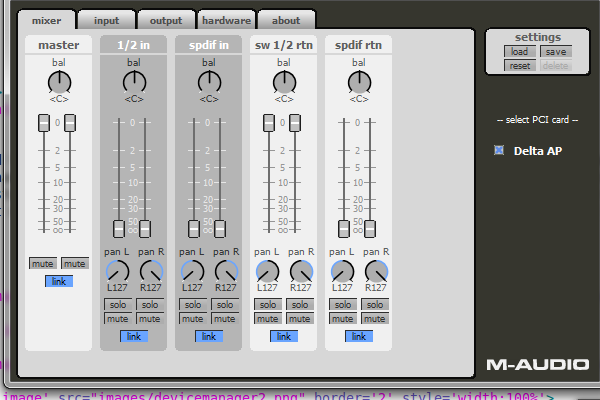 Every other tab in the M-Audio control panel is completely blank. \nIn this example, both the host and guest Operating System is Windows 7. 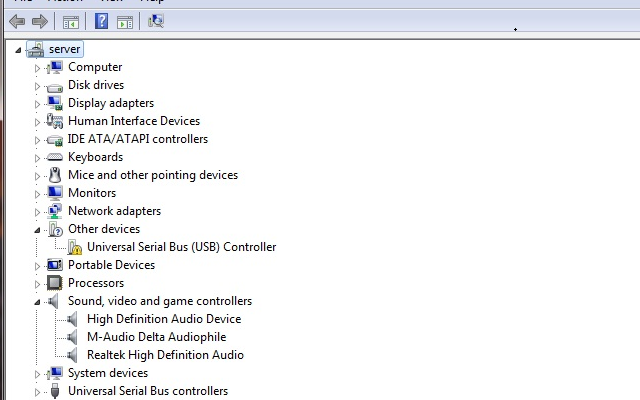 In both the Host and Guest OS, there is no listing of the M-Audio Audiophile 2496 soundcard in Device Manager. 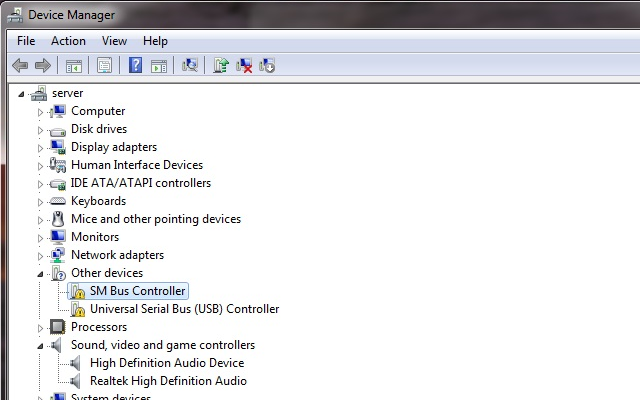 On the Host OS, Device Manager had an exclamation point on SM Bus Controller. I downloaded the Chipset Driver for my motherboard, and installed the Chipset Driver. After the Chipset Driver was installed, Device Manager no longer has an exclamation point on SM Bus Controller, and the M-Audio Control Panel displayed data on all 5 tabs. \nThe M-Audio Control Panel was still blank in the Guest OS. This is because the Guest OS passes the audio to the Host OS, which is to say that the Guest OS will not show the sound card. As long as the Host OS has the sound card configured properly, all should be well. The Guest OS should pass audio to the sound card via the Host OS.